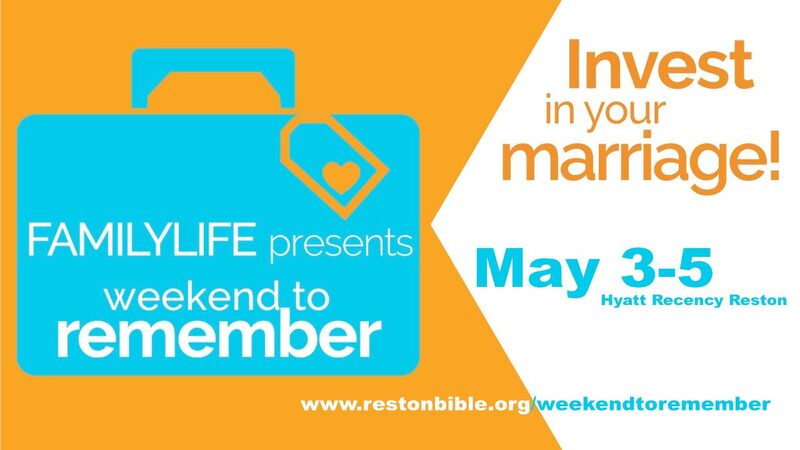 The Family Life ministry at RBC would like to encourage every married couple in our congregation to take advantage of a great resource coming to our area this spring – Weekend to Remember by Family Life. Why attend? Couples attend Weekend to Remember to invest in their marriage and intentionally move towards oneness. Understand God’s blueprint for marriage so you can create a legacy of greatness! Find out more or register using the button below. You can use the group code RBCFamilyLife to get a $100 discount. Still need some financial assistance to make it happen? We have set up a scholarship fund for that very purpose! You can request a scholarship (partial or whole) online here. You can learn more about Weekend to Remember here.